August, 2013 - Fish Creek is named one of the country's 15 prettiest towns. Thursday, August 15, 2013, the White Gull's cherry pie makes the list in "10 Midwestern foods You Must Try,"
Sunday, December 2, 2012, In his article, "Door County is Quiet Winter Wonderland", Madison writer Brian Clark talks to White Gull Innkeeper Andy Coulson about traveling the Door Peninsula in winter. 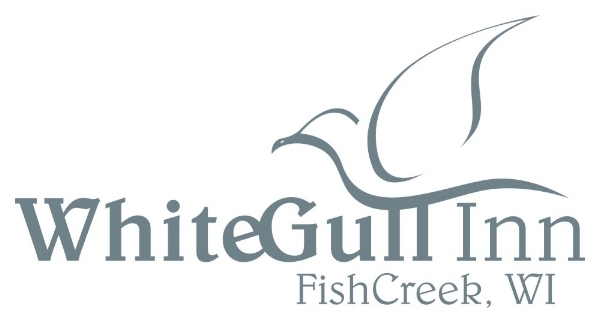 Sunday, May 16, 2010 - Marysol Castro, weekend anchor for Good Morning America, announced the White Gull Inn as the winner of its Best Breakfast in America Challenge, and interviewed White Gull Innkeepers Andy and Jan Coulson on national television. June, 2007 - "Who needs New England? The Midwest has its own coastal charm around the Great Lakes, and our top towns (Fish Creek and Ephraim), located in Door County, are the best examples of it...Fish Creek's White Gull Inn, known for first-class hospitality and one of more than a dozen lodging choices in Fish Creek alone, stages one of the best (Door County fish boils)." See the complete list of the top 100 or pick up a copy of the June, 2007, issue of Midwest Living Magazine. "it'd be a tough sell," concedes Andy Coulson, innkeeper and occasional boiler at the White Gull Inn in Fish Creek, Wis. "I mean, first of all, the sound of it. 'Boiled fish.' Right there, it's not particularly mouthwatering. A fish boil, briefly, is chunks of whitefish, poatoes, sometimes onions and salt, cooked in a kettle of boiling water. There's some drama in the actual preparation - don't want to spoil the surprise - and it's always served with melted butter, lemon, cole slaw, some variation of bread and, just as always, with Door County cherry pie for dessert. The county's commercial fishermen had been doing fish boils, mostly among themselves, for generations. "These were not professional chefs," Coulson notes. "They were men cooking for men." "Right around the late 1950's, the owner of the White Gull and the owner of the Viking [in nearby Ellison Bay, still in business and still claiming to be the original] started offering it to tourists - and of course it was an immediate hit."